Wasim Muklashy is your property photography specialist, servicing all your Portland and Vancouver metropolitan commercial property and residential real estate photography needs. 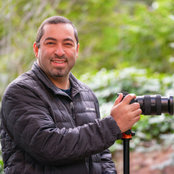 In addition to his award-winning nature, landscape and fine art work, writing for popular photography site Fstoppers.com, and producing images for Samsung Camera as an official Imagelogger, Wasim has been photographing high-end homes and properties for local real estate and property management companies, as well as popular rental service Airbnb. Wasim has been in the media business for well over a decade. He began his career writing for various Primedia and Conde Nast publications before founding his own music and lifestyle national newsstand print publication. His attentive eye for detail and keen editorial sense led him to spend 7 years as a Senior Editor and Creative Director, producing and editing award-winning marketing and commercial videos, assets, and corporate media packages for Fortune 500 companies including General Motors, Mattel, GAP, and Warner Brothers, featuring everyone from Heidi Klum and Tiger Woods to Snoop Dogg and Danica Patrick. Wasim’s valuable experience and proven work history has led him to absorb and understand the marketing needs of today’s culture and society, which relies very heavily on initial visual stimulants to capture the audience’s attention. He’s here to provide those services to you. Coste medio de proyecto:150 USD - 2.000 USDDepends on location, size of property, and services required. 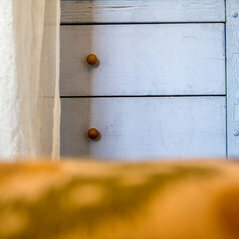 Each property comes with 2 complimentary 360˚ photographs. New clients - book 2 properties, get the 3rd for half price.